The Drink Machine Two-Step provides reliability and efficiency in your drink mixing. 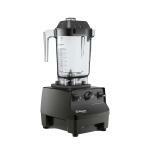 Designing your signature drink has never been easier with this blender's easy to set timer and pulse function. 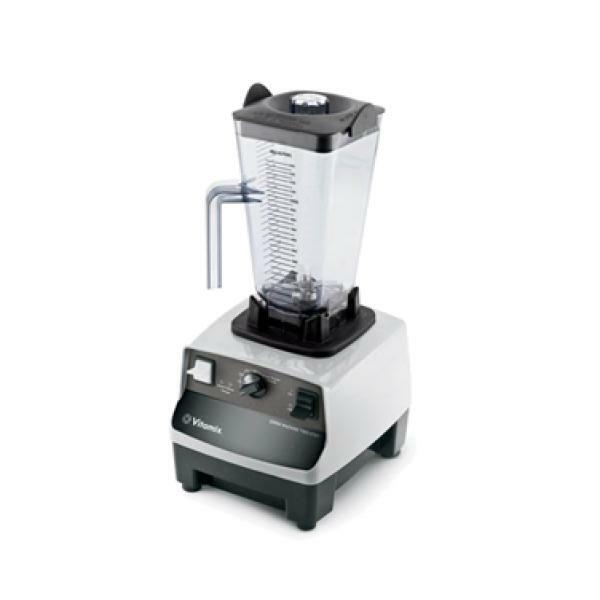 Housed in a sleek grey base, a powerful, thermally insulated 2 horsepower motor and double set bearings, this blender automatically shifts from low to high during blending providing you with the perfect texture for your best mixed drink. Four (4) laser cut, blunt-edge, stainless steel blades are designed to quickly and effortlessly "break open" frozen fruit and ice into fine pieces, giving your frozen drinks a smooth consistent texture. The 48 oz. container is made from a clear and durable high-impact polycarbonate and is specifically designed to pull ingredients into the blades for better efficiency and speed of service. Backed by a 1-year warranty on the blender and 3-year warranty on the motor this Vita-mix blender will provide the dependable quality expected in your commercial kitchen.